We have 15 hangars that are 40ft X 40ft, and two that are 60ft X 60ft. 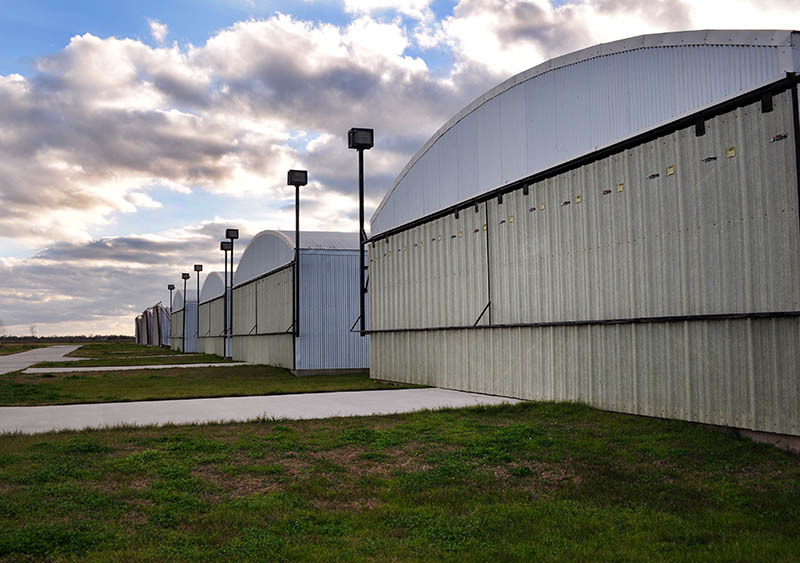 Our hangars are built in the nissen style with straight sides and curved tops, all are wired for electricity (220/110 voltage) with individual meters and have access to all three runways. Hangar renters may sub-lease space provided a sub-lease agreement is signed and a copy lodged with us. Individual fuel keys are provided for use at our fuel depot. Tie-downs are also available: costs dependent upon whether for short or long term. Please contact us for hangar availability and pricing.